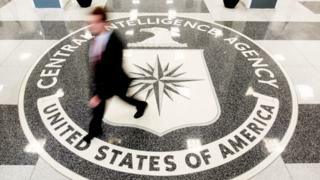 A former CIA officer has been arrested in the US on charges of retaining classified information in a case thought to be linked to the crippling of the agency's spy operation in China. Jerry Chun Shing Lee, a naturalised US citizen, was held at New York's JFK airport on Monday, the US justice department said. He worked for the CIA between 1994 and 2007, when he left for Hong Kong. In 2012 the FBI began investigating the disappearance of CIA agents in China. In the two years before, some 20 informants had been killed or jailed - one of the most disastrous failures of US intelligence in recent years. But officials did not know at the time whether to blame a mole or data hack. US media, quoting sources close to the inquiry, say investigators now suspect Mr Lee of helping China. Who is Jerry Chun Shing Lee? Mr Lee, also known as Zhen Cheng Li, served in the US Army from 1982-86, say court documents. He began his CIA career in 1994 as a case officer trained in covert communications, surveillance detection, recruitment, and the handling and payment of assets (agents or informants), among other duties. He was given top secret clearance and signed several non-disclosure agreements. When Mr Lee left the CIA in 2007, "those who knew him said he left the agency disgruntled after his career plateaued", reported the New York Times. Mr Lee remained in Hong Kong and only returned to America in 2012 to live in northern Virginia, the court documents say - according to one report lured by a fake job offer. What happened during that visit? The FBI's investigation into why the US was losing so many informants in China was by this point in full swing. FBI agents searched his hotel rooms in Hawaii and Virginia and found two small books with secret records, the US justice department says. They contained handwritten notes on details such as "true names and phone numbers of assets and covert CIA employees". Mr Lee left the US in 2013 after being questioned on five occasions by FBI agents. He never mentioned his possession of the books containing classified information, say the court documents. He has only now been detained while on another visit. It's unclear whether he knew he was still under suspicion. What has he been charged with? The justice department says that Mr Lee, 53, has been charged "with unlawful retention of national defence information and faces a maximum penalty of 10 years in prison, if convicted". He has not been charged with espionage, which can carry the death penalty - with some reports suggesting the US may not want to reveal secret information in court or that the FBI has struggled to gather the quality of evidence required to make a case for such a charge. The court documents make no mention of any covert link between Mr Lee and the Chinese state, but sources close to the investigation say this is the suspicion. Mr Lee appeared in Brooklyn federal court on Tuesday after being arrested at JFK. He is being held there while awaiting transfer to Virginia, where a federal court has brought the charges against him. If Washington's reported suspicions are correct, this case has had enormous repercussions. Some 18-20 informants may have been killed as part of China's attempts to dismantle the US intelligence operation on its soil. But it's only the latest chapter in a long saga of espionage and counter-espionage between the US and China - one, say analysts, that should not be eclipsed by the focus on Russian covert activities. Tech giants have been banned from both countries amid concerns about industrial espionage. In more recent years, concerns about cyber hacking have come to the fore. In May 2014, five Chinese army officers were charged with hacking into US companies in a bid for competitive advantage. Just a week later, China accused the US of using the internet to spy on its leaders and leading institutions. Earlier that year, former CIA contractor Edward Snowden claimed that the US National Security Agency (NSA) was hacking thousands of Chinese computer networks.